Best Food - Happiest Customers - Lowest Prices! "Where you choose and cook individually - no pairing! Learn to cook your favourite Thai dishes, experience the exotic herbs and spices, that makes Thai cuisine on of the world’s culinary delights!! AON has many years cooking and chef experience from restaurants and is widely renowned for her good cooking. 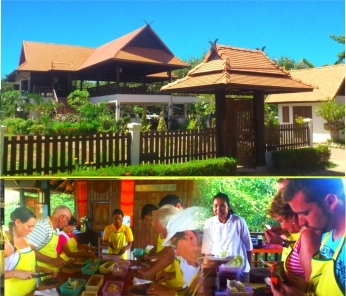 As well, AON get very good reviews for teaching Thai cooking and also she has a very good knowledge of spices, herbs and other plants from the garden. 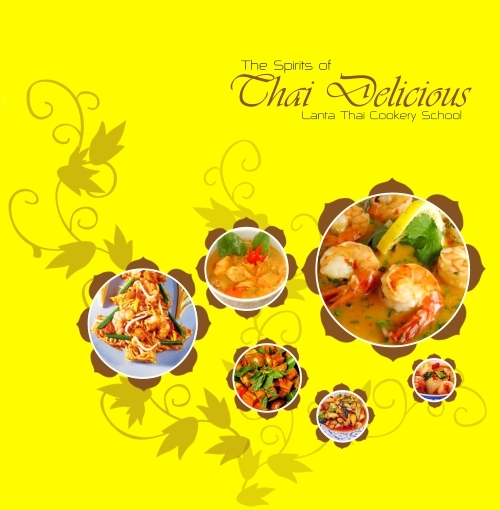 AON has the genuine and keep knowledge to make and teach almost any existing Thai Dish available. By that we think AON is unique for teaching Thai cooking on the island. Almost everything is available for private classes or after agreement. You learn by practical, hands-on approach to cook and to impress your friend back home, with green Thai curry, fragrant soups or stir fried chicken with cashew nuts ans many more dishes!! AON also has a very good knowledge of many other types of kitchens, studying it both in Thailand and abroad, growing her knowledge of both food in general and also to understand and explain the differences between differrent kitchens. All teaching is done in good English!